How do I register for a free Indiana INTERNnet account? On the home page, click “Login/Register” in the upper right-hand corner of your screen. You will be required to select an account type, and should select "Organization." In order to ensure your school is not already registered, the system will request you enter your school name. Slowly type the name of your school in the text box, and a list will populate below. If you see your school in the dropdown list, that means there is an existing account. Click on your school’s name. Some of the registration fields will disappear because Indiana INTERNnet already has your school’s information on the site. A registered user from your school will be notified of your request and will review your information to confirm your account. If the system does not find your school registered with Indiana INTERNnet, simply complete the registration form. Be sure to select “University” or “High School” as the organization type. Your registration will be sent to Indiana INTERNnet to review and approve. Once a staff member approves your account, you will be able to post internships, search for interns and assist your students. If you have not gained full access to the site in 48 hours, please contact us at INTERNnet@indianachamber.com. Indiana INTERNnet is a high-tech and high-touch system, built to enhance opportunities for individuals seeking internships and employers searching for interns. The high-tech portion allows educators to view company descriptions, internships and student profiles. Indiana INTERNnet also provides educators with free reporting features that allow them to easily access the number of their students using the site and obtaining internships. Additionally, Indiana INTERNnet offers high-touch services that enable you to receive personal assistance, customized presentations and tools and much more. How can Indiana INTERNnet help educators? 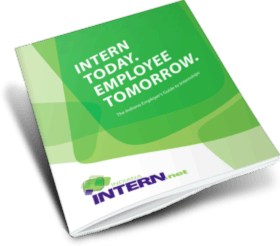 Indiana INTERNnet provides a variety of assessment forms, access to best practice information on internships, current market information on wages/benefits and hundreds of workplaces for potentially placing an intern. Indiana INTERNnet also provides educators with free reporting features that allow them to easily access the number of their students using the site and obtaining internships. Indiana INTERNnet has developed partnerships with Indiana University, Ball State University, all Ivy Tech campuses and IUPUI to share internships. New internships are shared weekly with those universities to be used on their job boards. Students who are interested in the shared internships will be directed to apply on Indiana INTERNnet. The list of schools participating in internship sharing is growing! If you would like to create a partnership between your university and Indiana INTERNnet, please contact Allison Gaffney at agaffney@indianachamber.com. How can I help my students? If a student is interested in registering with Indiana INTERNnet, they can review common FAQs. I registered. Why do I have limited access to the site? In order to provide the best possible service to students, Indiana INTERNnet reviews every new organization registration. Until a staff member approves your school you will not have full access to all of the site’s features. If you are joining an existing account, a registered user needs to grant you access. Sign in to your account. Click "Edit Account” in the upper right-hand corner of your screen. Select “Change Password” underneath the “Update Account” button. I lost my password. How may I retrieve it? On the home page, click “Login/Register” in the upper right-hand corner of your screen. Underneath the “Log In” button, click “Forgot Password?” and enter your email or username. You will be sent an email with instructions to change your password. Can I change my school's information? Yes. You can change your school's information at any time. Edit your profile by clicking “Manage the (your school’s name) profile” located in the gray box on the right side of your dashboard. How much does it cost to use Indiana INTERNnet? All of Indiana INTERNnet services are free for everyone. Students can search and apply to an unlimited number of internships at no cost. Employers and educators may post an unlimited number of internship opportunities and have access to our intern candidate database for free. Additionally, educators have access to the site’s student reporting feature. A student says he/she is on the website, but I cannot find him/her. After six months of inactivity, student accounts become inactive making it impossible for them to be visible on the site. Students may reactivate their account simply by logging in. If you need more assistance, contact us at INTERNnet@indianachamber.com and provide us with the student’s name. We will work to resolve the issue. What does Indiana INTERNnet look for in internships? Indiana INTERNnet emphasizes strong connections between work and academic experience. In addition, Indiana INTERNnet encourages mentorship and meaningful tasks. Download our Employer’s Guide to read our suggestions for creating a meaningful internship program. How does Indiana INTERNnet ensure quality internship opportunities? Indiana INTERNnet staff members review all new employer registrations in order to ensure that the employer is a legitimate organization with the potential to offer internship experiences within the state of Indiana. As with any job or internship opportunity, students are encouraged to thoroughly investigate the organization and to ask questions to ensure that the internship for which they are applying is a good fit. It is also recommended that students have a good knowledge of their internship requirements and the experience they desire prior to accepting an internship offer to ensure they accept the opportunity most in line with their career goals. The internships posted on Indiana INTERNnet include both paid and unpaid opportunities. However, the majority of internships on the site are paid. Indiana INTERNnet strongly encourages employers to offer compensation to interns. Be sure to review what the Department of Labor has to say about this issue. Can students receive credit for their internships? Yes. However, internships posted on Indiana INTERNnet do not have to be for academic credit. Academic credit should not affect internship compensation. Indiana INTERNnet lists internship opportunities throughout the state of Indiana. The website allows you to search for internships by county or region. While some companies may have out of state locations, only Indiana internships will be approved for posting on Indiana INTERNnet. Employers seeking an intern can search for matches by utilizing any combination or all of the following fields: keyword, student type, institution, major, minimum GPA and county preference. The employer executes a search and then contacts the student via email, phone or our internal messaging system. Students can search for internships using advanced search features similar to employers. Paid or unpaid is also another option when searching. The student can apply to the internship directly through Indiana INTERNnet. What if I want to post an internship for my school? You can easily post an internship and search for interns for your school. For more information and step-by-step instructions, see Employer FAQs. What is Indiana INTERNnet's confidentiality policy? I keep getting an error message. What do I need to do? If you are logged in and see an error message that says "You must be logged in as an approved organization to view this page," there is an issue with your browser’s cookies. Simply clear your cookies, close your web browser and try logging back in. Here is a helpful website with steps to clear cookies. If you are getting an error message when trying to submit an EARN Indiana application, please make sure that your internship meets the minimum standards. If it does, try logging out and logging back in. Once you do that, try to submit your application again. If you continue having issues, please email INTERNnet@indianachamber.com.